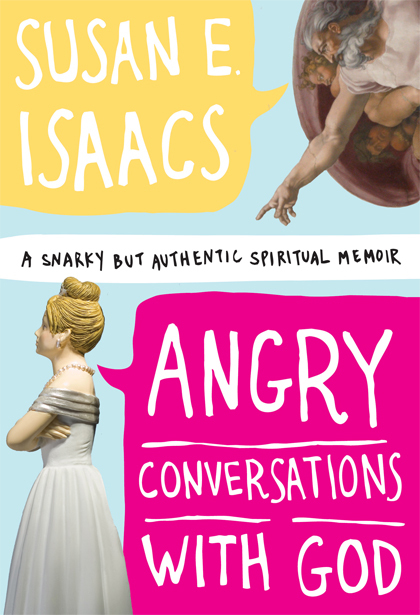 Susan’s literary debut, Angry Conversations With God, was named a top-ten religion book of 2009 by Publisher’s Weekly and Relevant magazine, and earned many rave reviews and endorsements (review page) The book is now out in paperback and is available at Amazon, Barnes & Noble, and any classy retailer. Susan wrote DirecTV’s holiday specials hosted by Darrell Waltrip and Amy Grant, and has consulted on many scripts, including the Blue Like Jazz movie. She blogs regularly for Donald Miller’s Storyline blog. She’s also contributed to American Public Media’s Weekend America, Fresh Yarn, Burnside Writers Collective, and Steve Brown Etc. Susan has an MFA in screenwriting from the University Of Southern California and teaches at Pepperdine and Azusa Pacific Universities. Susan’s archived blog (2003 – 2011) is over here. Susan’s writing credits include original screnplays, essays for NPR, and DirecTV’s holiday specials hosted by Darrel Waltrip. Susan contributes to Donald Miller’s Storyline blog and Burnside Writers Collective, Steve Brown Etc. and Fresh Yarn. Will Act For Drugs, Will Act For Drugs, on radio’s Weekend America. Susan’s Radio Interviews on Steve Brown are here.